Protected * Void / SU-W8 accents on N800. Post a comment — Trackback URI RSS 2.0 feed for these comments This entry (permalink) was posted on Monday, June 30, 2008, at 3:10 am by Danilo Cesar. 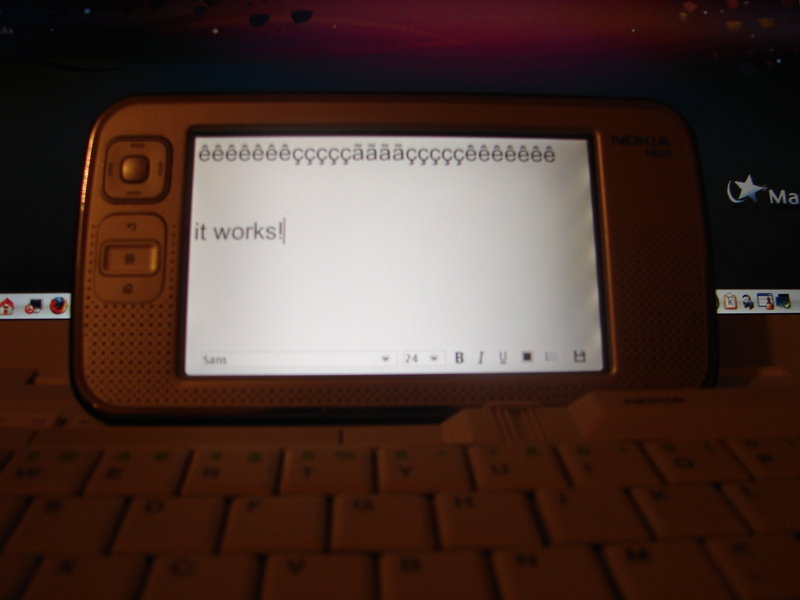 Filed in Linux, Maemo and tagged accents, Linux, Maemo, nokia, su8w. 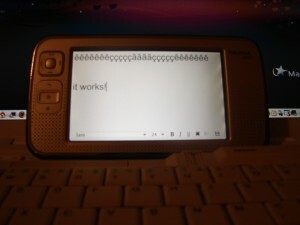 Can I use this tutorial with my Dell Axim bluetooth keyboard/iGo Stowaway on N800? Do you can help me? I think this keyboard is similar to SU-W8. I am from Esteio, RS, Brazil. Thanks.